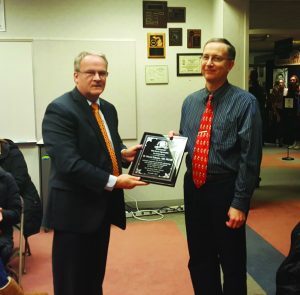 The Rockford Board of Education recognized several individuals recently including a local doctor who has contributed to the Rockford community. 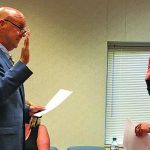 “He has contributed a great deal to the school system and our students,” said Linda Rothenthaler, former school district nurse. She stated Dr. Vincent Dubravec had helped her in numerous ways including getting free EpiPens for the school system. Linda Rothenthaler, the Rockford Public Schools district nurse who retired at the end of the 2015-2016 school year, told the Rockford Board of Education that Dubravec’s work also saved the school district money as he advocated for products. “He also has brought about six thousand dollars in savings yearly,” she said. Dubravec said the second would be Linda Rothenthaler as she is involved in the school system and cares about the students she works with. “Thank you for your service to the community,” said Miles Postema, Board President. Dubravec told The Squire that his father, Igor Dubravec, was a huge influence on his career and his service to the community. Igor Dubravec practiced family medicine for almost 30 years influencing his son’s decision to practice medicine. Vincent Dubravec practices with Allergy Asthma Specialists of West Michigan. He said Rothenthaler also deserves to be recognized for the role in the achievement. Dubravec began his residency at Madigan Army Medical Center in Tacoma, Washington. He completed his allergy and immunology training at Fitzsimons Army Medical Center in the Denver area and was involved as affiliated staff at the Air Force’s allergy and immunology training program at Wilford Hall Medical Center. 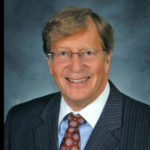 After his military obligation was completed, he served a few years in other locations before settling in the West Michigan area and starting his private practice. 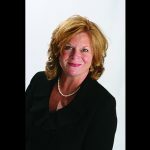 Dubravec serves as an assistant clinical professor at Michigan State University, volunteers as medical advisor for Rockford Food Allergy Network, has been the coordinator for two free asthma screenings, and is active with the Rockford Public School system. Dubravec lives in the area with his wife and they have four children. 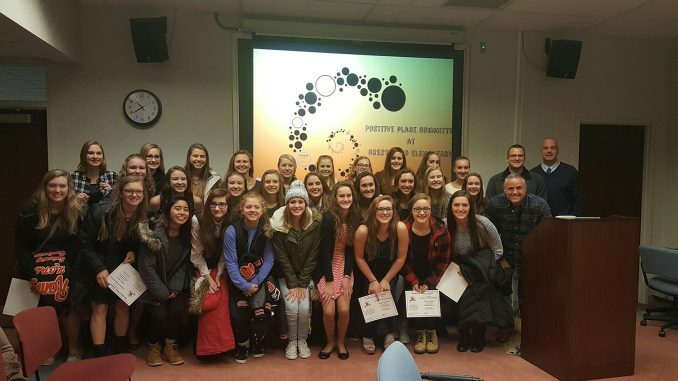 Another group that was recognized by the Rockford Board of Education was coach Tom Parks and the Rockford Rams girls swimming team, who were the 2016 state champions. The team earned the MHSAA Division One girls swim championship title in November. “Rockford is truly a place where if you want to do excellence they are behind it,” Parks said. The members of the swim team were introduced individually and given certificates at a recent Board of Education meeting. “They were able to take a couple things together and make it a state championship,” Parks said. The 2016 state championship Rockford team has been in the top 25 in the country for the past three years. Two of the top five schools in the Division One finals in November were from the Ann Arbor region, which included Saline finishing in third and Ann Arbor Skyline finishing in fourth. The Rockford Rams had three straight top-five finishes in the state finals in recent years with their fourth place finish in 2013, third in 2014, and fourth in 2015, but a school on the west side of Michigan has only won the Division One title twice before Rockford’s first place finish. Parks said he was proud of the group of girls that achieved being state champions. Parks said there are three teams in the Ann Arbor area that are consistently in the top 10 in the country. Parks said the few exceptions to these schools winning the state championship for Michigan include Forest Hills Central winning during the 1993-1994 school year, West Ottawa High School winning in 2012 and now Rockford Public Schools winning in 2016. Parks said this was a huge achievement. “They were all able to pull something off that was historic,” Parks said. 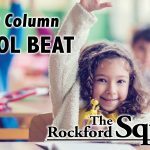 Rockford has been consistently in the top 10 in the past. The Board of Education heard a presentation on activities at Crestwood Elementary School and how it is a Positive Place Community. This includes the school’s involvement with the Watch Dogs program, which stands for Dads of Great Students, and promotes positive male role models, helps reduce bullying, and helps children relate to their parents. Other programs that were highlighted were the Recess Clubs, which include a Spanish Club, Legos Club, and Paper Play Club. The presentation also included discussion on the Kids Helping Kid Club and Junior Achievement.